SEO, being an inherent aspect of the digital marketing process needs precise monitoring of the activities at regular intervals. 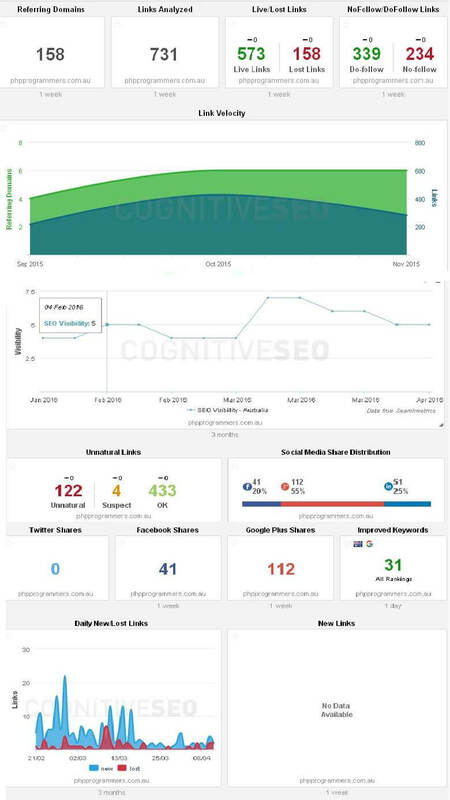 Owing to this fact, numerous link building and SEO tools have come into the picture these days and adding to the league, CognitiveSEO has been introduced. This tool hosts a set of remarkable features, which are being recommended by the beta users. After two years of undergoing through a meticulous development process, CognitiveSEO was initially launched in beta during the year 2010. Though the soft release was done at end of 2011, the final release was made by early 2012. This revolutionary tool typically uses link data from SEOkicks, Blekko, aHrefs.com, while they attain the link (quality) metrics from MajesticSEO and SEOmoz. CognitiveSEO combines all the link data, thereby removing all the duplicates as well. Having this piece of data will enable you to either create your own campaign or run a one time snapshot. While considering the task of campaign management, you will be provided with 2 options. 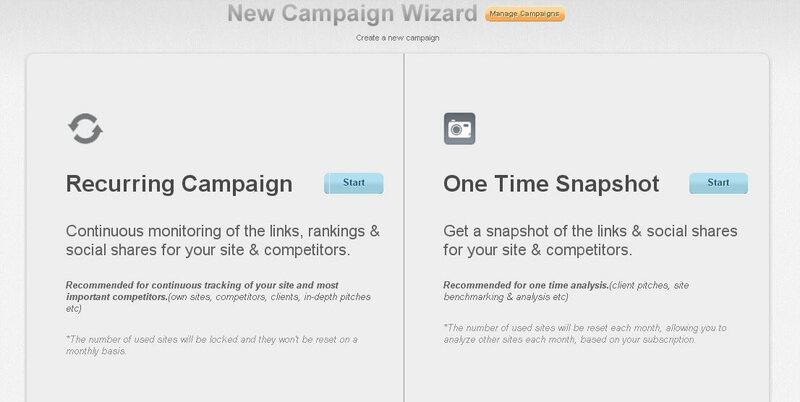 Either you can opt for a one time snapshot or a recurring campaign. Choosing a recurring campaign will certainly allow you to facilitate constant monitoring of rankings, links and social shares for the competitors and your site as well. On the contrary, selecting the option of ‘one time snapshot’ will allow you to get a depiction of the social shares and links for your website and competitors as well. One time snapshot is the fastest and most swift way for analyzing links of the website or pages. All you need to do is just enter the URL address, which you are about to analyze, thereby, specifying whether you want to exclude the internal links or limit the site-wide links and click on the ‘Start Report’. The result which will be delivered to you is one page with one anchor text cloud, a brief overview on metrics, some interesting link charts (like tld distribution, deep link ratio, referring C-class IPs) and all other elements of link data. Everything available on the page are quite filterable, which can be further exported to csv as per your choice. If you are willing to acquire detailed information on a link profile, then creating a campaign is the ultimate choice for you. A campaign includes additional overviews and more charts, however, the data is also being recrawled, thereby allowing you to draw a comparison in between multiple and can also maintain track of the link’s growth. Following here is the sequential process of creating a campaign. Setting up a new campaign takes only a matter of few minutes. 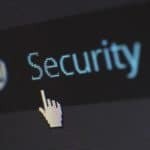 First, you need to enter the website and mention whether you want to examine the entire website or one or multiple URLs. Adding the name of your competitors is the next step you need to opt for. Here, you can make a comparison in between the entire domain and individual URLs. While moving towards the next step, here you can add a number of advanced filtering options before starting the process of analysis like the maximum amount of URLs/ domain to examine or to eliminate the links present on any sub-domain of the domain, which is to be analyzed by you. CognitiveSEO will be monitoring the top 100 links for you regularly, thereby notifying you whether, there is any movement or alteration with any of these links. Another significant feature of this phenomenal tool is the Rank Tracker, where you can monitor around 300 keywords on daily basis, which however, is optional for each and every campaign. The last step directs you to provide a name to the created campaign. After it, you need to wait for just a fraction of second to let CognitiveSEO do the analyzing and crawling. Thereafter, you will be receiving an email specifying when you can have a look on the results. After the campaign creation process is completed, this tool will enable you to go through a series of significant reports all of which, will lead you to know about your SEO success. The dashboard will allow you to obtain a multiple series of precise reports of the link building analysis in a snippet format. It comprises of 72 categories, which provides you with details regarding how many links are alive and how many of them are lost and many more. Being a customized platform, here you can personalize the dashboard as per your choice, thereby eliminating the specific categories, which do not fit your requirements. However, for getting in-depth information about the analysis, you need to click the tab ‘inbound link analysis’. Here you can get multiple reports, which are being featured in multiple categories including inbound link portfolio, anchor text portfolio, top subdomains, inbound link profiles, inbound link charts, inbound link timeline and competitor analysis. While clicking on any category present in the list, you will be provided with the page’s preview, which includes a highlight regarding where the link is being located on the webpage. Adding to this feature, it will also provide you with a table, which is inclusive of details regarding the IP address and nation, page title, page’s language, number of total outbound links for the page and many more. Here you are being provided with the option of filtering the link listings as per your choice. Whether you just want to have a look of sitewide links of the competitors, want to check out the lost links or wish to filter as per the particular HTTP status codes, this platform will enable you do analyze everything and anything. However, if the option does not suits your requirements as such, you can simply export everything to csv. The next panel, which you are about to view will provide you detailed insights of your anchor text portfolio. Though, it is just an overview, but, when you will click the numerical figures being displayed, a pop-up will appear along with the links’ list available with this specific anchor text. Alike, the former one, here also you will be provided with the option of export everything to csv. Here, you will get an abstract of the major linking subdomains, which either link or have been linked to the website. You can also filter on basis of the subdomain’s authority or the total number of links, which points to the site. This tab offers a charted depiction of the link profile either in relative (%) or absolute numbers. You can get an illustrated picture on a number of details like the type of webpage, which links to the site, link visibility, link positioning, webpage language and category, domain tld distribution, links trustworthiness, webpage AC rank, external inbound links and outbound links or a list of additional metrics including mozAuthority or PageRank as well. You need to click on the specific chart bar, which will let you to zoom to that particular option for instance, viewing all the forum links. Charts certainly offer you with a clear and precise interpretation of facts. Owing to this fact, if you are willing to view a chart representation, then CognitiveSEO offers you that beneficial platform as well. You can compare lost links vs live links, followed links vs nofollow links, interpret the status of link authority, domain authority, text/Redirect/Image links, site-wide links, anchor target, Top 10 referring IPs and Countries, deep link ration and deep backlink ratio. Finally you can either zoom to any of the specified metrics or can export it to csv. CognitiveSEO will help you to keep note of the link growth and is an excellent option for keeping track of both the most promising link drops and link baits. You can derive all the significant above-mentioned piece of information for your competitors also. In addition to its potency, you can further create a number of comparison tables and charts that allows you to design a visual depiction of your industry or niche. As the name suggests, here you will be able to keep proper track of all your tasks and links. You can handle all your management tasks, which covers the whole outreach process. Furthermore, with the help of Reporting feature, you will be able to control all the link building efforts, thereby offering you full authority of your tasks. CognitiveSEO keeps track of each single keyword being mentioned by you at the time of campaign creation. There are around two-three plans, which you can avail for. However, while detailing on the most common platform among them, a basic package offers you the scope of analysis of 25 websites and monitoring of 300 keywords per day and each account can be accessed by a maximum number of 5 users. The daily movements or fluctuation in ranks and current rankings will be summarized in dashboard. 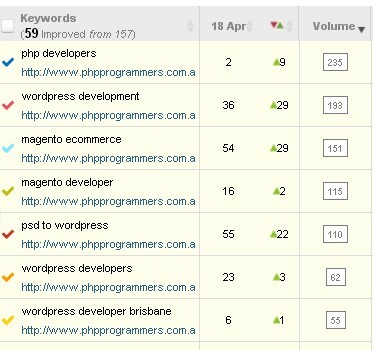 Here you can zoom in the specific keywords or competitors link status. An overview of the keywords ranking along with details on decline in the rankings are significant for the link building process as because, those keywords may offer you some quick wins as well. With the help of site explorer, you can be able to conduct a link structure analysis of a number of relevant websites. While opting for a basic package, you can have access to the inbound link analysis of 150 websites, which will further enable you to decipher the trend encountered by the industry. By performing this process, you will certainly get a clear understanding on the link status of competitors’ websites, thereby helping you to figure out the areas where you lack and work on those for keeping pace. This phenomenal feature helps you to keep access of all the number of social media shares including Google, LinkedIn, Facebook and Twitter for the links of your website. You will be able to keep track of the fluctuations or movements in the number of shares taking round the clock by which, you can estimate the link growth. Adding to their level of efficiency, CognitiveSEO has introduced an enhanced feature of Google Analytics Integration recently. Their panel of experts noticed the problem being encountered by users to view the reports by switching in between multiple tools. So, with the inclusion of this phenomenal feature, you can get assured of: no more wastage of time with matching and mixing comparisons and results. Now, you can truly experience a better version of this tool with Google Analytics Integration, where you can keep proper track on 4 key metrics, which are Duration, Page/Visit, Event and URLs. Since, it will allow you to track your performance quickly, thereby facilitating you to make best possible decisions for the business. Though it seems to be quite a daunting task to keep pace with the competitive world of SEO tools, but CognitiveSEO has managed to do it brilliantly. Their link management and rank tracking features are designed to deliver accurate results, however, this tool nails the stage with their excellent features of link analysis. However, conventional wisdom states that precise preparation leads to perfection. So I believe, CognitiveSEO can perform with greater efficiency with inclusion of a website loading performance tracker tool, which will allow the SEO experts to examine how fast the website is being loaded, what are the bugs present in the website that is restricting the site to load faster and thereafter, debug those issues for improving the site’s performance. While summarizing the whole, I would like to state that I have used a number of SEO tools out of which, CognitiveSEO can be surely crowned as the best in the league. Being enriched with a myriad of advanced features, it will help SEO webmasters to get into the right track and come across best possible results. I have been using this tool for my PHP Programmers website boosting for quite a long time and have been provided with phenomenal results. Thus, as per my opinion, it would be prudent enough to rate this product as 90+ out of 100.